I’ve never enjoyed nursing my babies. In fact, it pretty much drives me crazy. And I feel guilty that I don’t enjoy it. Don’t get me wrong, I’ve breastfed all of my children to at least 18 months or so, and I wouldn’t even consider not nursing them (unless there was a physical/medical reason that I could not). I’m super grateful that I’ve the ability to nurse them, but I truthfully don’t enjoy it at all. I love the benefits that babies get from nursing, the improved brain development, the bond that it creates, the financial savings, but the act of sitting and nursing multiple times a day makes me stir crazy! At the same time, I’ve seen the pain that several of my friends have experienced when physically unable to nurse their babies and longing to. I’ve held their hands through the tears of wanting to nurse their newborns, and I’ve donated milk to their preemies who desperately needed the nutrients. Motherhood is hard, and the topic of breastfeeding is especially painful (and often polarizing) for many moms. 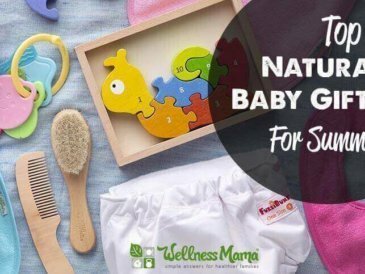 This post is not here to debate the issue, and certainly not to judge moms for decisions either way, but to offer some practical alternatives for those who don’t or can’t nurse their babies. Doctors agree that the best option for baby whenever possible is to breastfeed. Unfortunately, this isn’t always an option. As a doula, I’ve seen many times that a mom could have nursed but chose not to. I’ve also seen cases where mom wanted to but had a physical problem that prevented her from doing so. I’ve also seen babies who were unable to nurse for one reason or another. When breastfeeding is truly not possible, there are a few other options. In past generations, wet nurses and milk donors often nursed these babies until they were old enough to eat. Eventually, crude substitutes were created or different types of animal milks were used. Now, the infant formula market is a multi-billion dollar a year industry. Organic Reduced Minerals Whey – In its natural form, whey is a great source of protein and probiotics. You can read a description of Reduced Minerals Whey from the American Dairy Products Institute here. I’m not sure why you’d want to reduce naturally occurring minerals in an otherwise healthy food. The issue with dried whey is that it is typically dried at high temperatures that denature the proteins and make them toxic. Furthermore, the heating and drying process will negate any probiotic effects of the fresh whey. NOT GOOD. Organic Non-Fat Milk – Sounds benign enough, but there is NO reason a baby should ever consume non-fat milk. Not only do babies absolutely NEED the milk fat and cholesterol, but the process of making powdered skim milk creates a substance that is not only devoid in nutrition, but is also laden with oxidized cholesterol and neuro-toxic amino acids. NOT GOOD. Organic Lactose – A necessary ingredient, lactose is a milk sugar that naturally occurs in breast milk. GOOD. Organic Glucose Syrup Solids – This is a fancy way of saying sugar made from starch. Most glucose syrup solids in the U.S. are made from corn – making what’s also known as corn syrup! NOT GOOD. A better choice to mimic breast milk would be more lactose. Organic Palm Oil Or Organic Palm Olein – Not the worst ingredient if it’s coming from a reputable source. QUESTIONABLE. Organic Coconut Oil– Good choice to provide the special medium-chain fats found in mother’s milk. 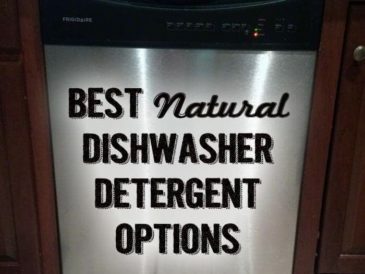 Should be expeller pressed only. OK.
Organic Soy Oil – Soy oil is not fit for human consumption and should not be in baby formula. It can act as a hormone disruptor among other issues. NOT GOOD. Organic High Oleic (Safflower Or Sunflower Oil) – Good if expeller-pressed only. QUESTIONABLE. Organic Whey Protein Concentrate – See issues with Organic Reduced Minerals Whey above. NOT GOOD. Other non-organic formula options often contain higher amounts of corn syrup solids, hydrogenated oils, soybean oil and sugar. 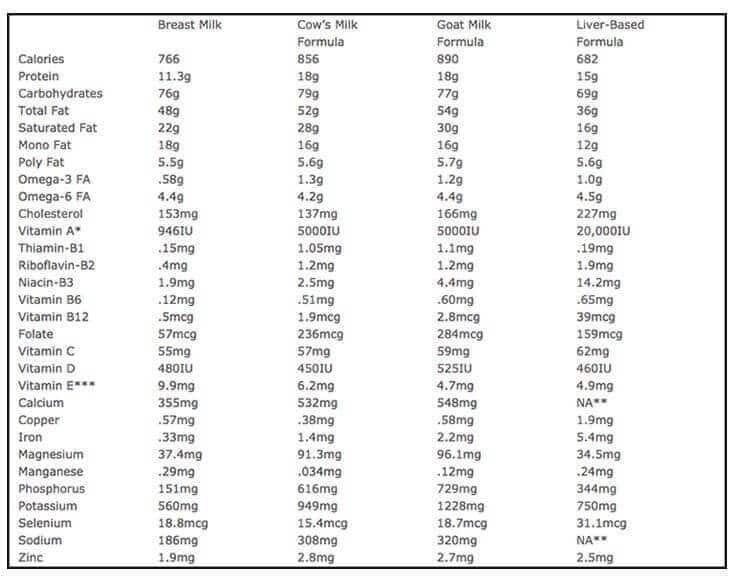 In fact, most infant formula contains ingredients most of us would not cook with or use in our own food, yet 1/4 or more of us rely on this as the only source of nutrition for our children in their most important and developmental months/years. 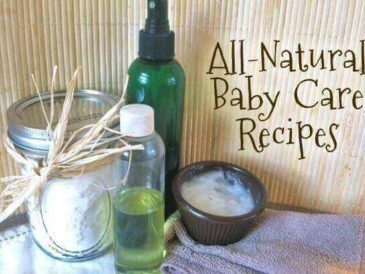 What I’d personally choose if I was unable to nurse is a homemade organic baby formula. Then again, many people feel the same way about toothpaste, deodorant, or makeup at first glance too. 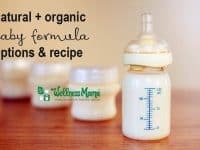 Certainly, baby formula is a much more important recipe to get right since baby’s health depends on it, but homemade baby formula is not nearly as complicated as you might expect. The Weston A. Price Foundation provides recipes for homemade infant formula with a dairy option and a dairy-free option. Unlike commercial baby formula options, the homemade versions have a base of milk or broth with added real-food, nutrient-dense ingredients like gelatin, probiotics, beneficial high-vitamin oils/fats and acerola powder. I have friends who have used both the raw milk option and the dairy-free option with great success and these are the options I would use if I ever was unable to nurse or find donor milk for my babies. All of the non-perishable ingredients for this recipe are available here. 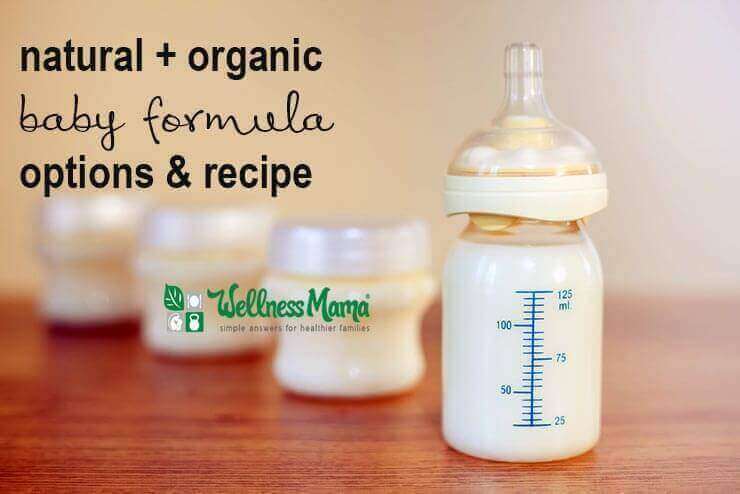 Homemade baby formula combines nutritionally dense ingredients like raw milk, whey, lactose, probiotics, cream, gelatin healthy oils and more. 1/4 cup homemade liquid whey see recipe in "notes" below Note: Do NOT use powdered whey or whey from making cheese (which will cause the formula to curdle). Use only homemade whey made from yoghurt, kefir or separated raw milk. NOTE: All non-perishable ingredients for this recipe are available here. Homemade Whey Recipe: Makes about 5 cups.Homemade whey is easy to make from good quality plain yoghurt, or from raw or cultured milk. 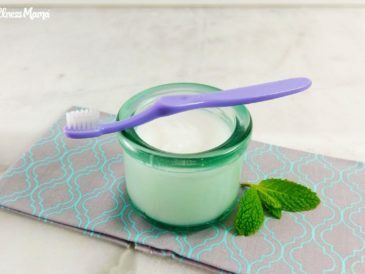 You will need a large strainer that rests over a bowl.If you are using yoghurt, place 2 quarts in a strainer lined with a tea towel set over a bowl. Cover with a plate and leave at room temperature overnight. 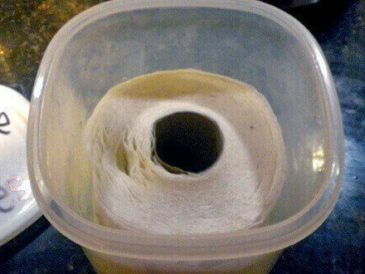 The whey will drip out into the bowl. Place whey in clean glass jars and store in the refrigerator.If you are using raw or cultured milk, place 2 quarts of the milk in a glass container and leave at room temperature for 2-4 days until the milk separates into curds and whey. Pour into the strainer lined with a tea towel set over a bowl and cover with a plate. Leave at room temperature overnight. The whey will drip out into the bowl. Store in clean glass jars in the refrigerator.Source: Nourishing Traditions by Sally Fallon with Mary G. Enig, PhD. Of course, sources agree that breast milk is the best option for baby, but if nursing is truly not possible, these are the options I would use. I would absolutely recommend (and choose myself) to find a qualified and knowledgeable doctor before using this or any other option besides breast milk for babies. 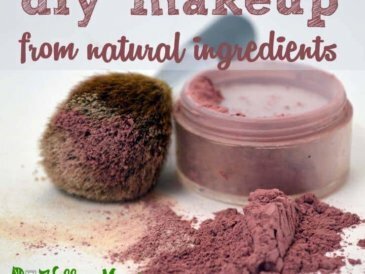 There is a great list of answers to commonly asked questions about homemade formula in this article. Based on new landmark research, consider adding a product like this one to baby’s bottle starting at 4-11 months to help reduce the risk of developing a food allergy. More to come on this soon, but I’ve researched this product extensively and would give it to my babies based on the research and experts behind it. Always check with a qualified doctor before using this or any other recipe with a baby. Breast milk is absolutely the best choice when it is possible. Good lactation consultants can help moms who are struggling with breast feeding to work through most problems. You can find trained lactation consultants in your area here. For the cases where breastfeeding is truly not possible, and donor milk is not an option, homemade baby formula can be an alternative to store-bought highly processed formula to provide baby necessary nutrients. It wouldn’t be my first choice, but if I was unable to breastfeed at any point, it is the option I’d turn to. What was your experience? Were you able to nurse or did you have to turn to other options? Please share below!